‘Vox Lux’ is a brash coming-of-age story for today’s America – Cinema or Cine-meh? 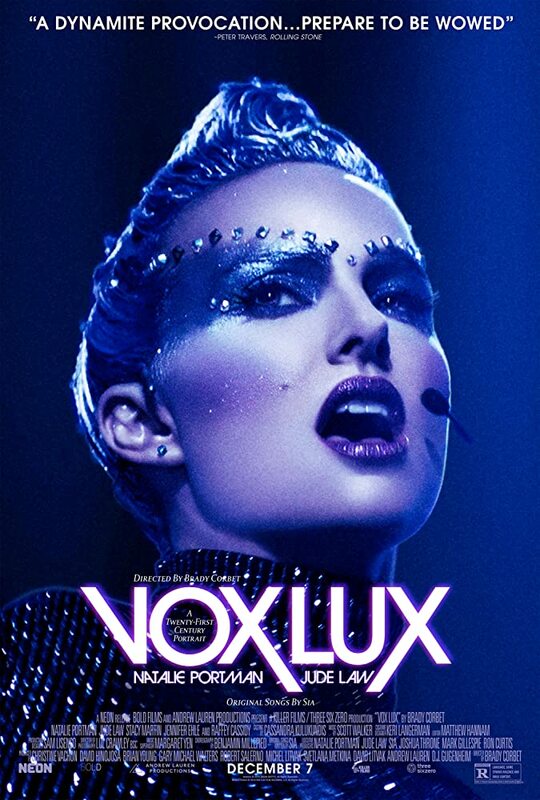 “Vox Lux” is a brazenly brutal, bold, and backward motion picture. Not since last year’s “mother!” have I been left so happily bewildered by the end of a movie. After its shocking opening sequence, which it calls the Prelude, “Vox Lux” rolls what could be confused for closing credits. It makes sense, after what you just saw, but it’s only the beginning. 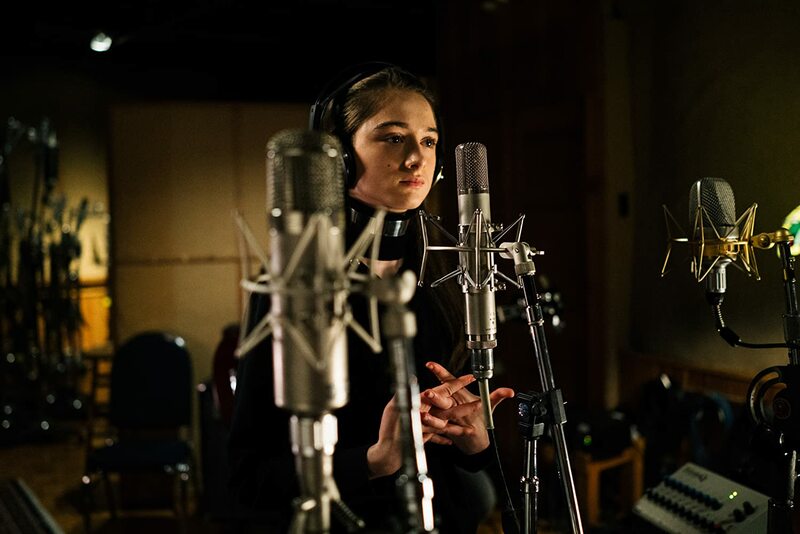 In Act I, we see the start of Celeste’s (Raffey Cassidy) pop music career, a career born from tragedy. With the help of her loyal older sister, Eleanor (Stacy Martin) and her new manager (Jude Law, all rough edges and ruffled hair), Celeste grows up more quickly and more publicly than anyone in their right mind would recommend. Like the audience, she barely has time to grieve before she’s shoved into manufactured superstardom. In her career’s second act—Act II—Celeste (now played by Natalie Portman) bares the weight of the past 17 years of this life. As she spends the day with her daughter (played, in a bit of brilliant casting, by Cassidy, the actress who played Celeste in her youth), and prepares for the first concert of her new tour, Celeste’s story comes full circle. More than anything else, perhaps, “Vox Lux” is really about the toll stardom takes and how a person has to adapt in order to survive. Not everyone will agree with some of the imaginative ways that actor-turned-writer/director Brady Corbet (in only his sophomore effort) decides to tell Celeste’s story, but nobody can call it boring. Act I – As the 13-year-old version of Celeste, Raffey Cassidy already has that whispy, New England timbre Natalie Portman is famous for. Cassidy worked with a dialect coach to play the young version of the “Black Swan” Oscar-winner, and it paid off wonderfully. Her Celeste has a lot to deal with, all at once, and Cassidy smartly plays her as internally scared but trying her best to put forward a confident face. Personal tragedy and national tragedy shape the beginning of Celeste’s young pop career. In one of his many bits of narration, Willem Dafoe says “Celeste’s loss of innocence mirrored that of the nation.” Dafoe’s narration sometimes sounds like asides from a biography, which gives you the sense that “Vox Lux”—as extraordinarily unsettling as it sometimes is—might be based on a true story. It’s not, but it can feel that way. “Vox Lux” presents an honest took at how Americans consume music and then misappropriate it. Darren Aronofsky’s “mother!” had many meanings to read into, but the one I liked the most was similar to this. Anyway, “Vox Lux” also points out how numb Americans have become to tragedy by showing us a pretty extreme case. Act I serves as a coming-of-age story about a girl in the public eye and out of her element, and serves as the set-up for Act II’s wild ride. Act II – Don’t call it a comeback…no, really, Celeste doesn’t like that. Rooney Mara was originally attached to play the older version of Celeste, and when you see her it will all make sense. If you immediately confuse Natalie Portman’s Celeste for one of those Lonely Island rap videos Portman has done for SNL, you’d be forgiven. In truth, it’s not too far off. Sometimes, she said things I swear I had heard in one of those raps. But her Celeste is simply the product of her upbringing, part of which you saw in Act I and part of which Willem Dafoe catches us up on with his short and helpful narration. Portman’s performance is complicated. Nobody will say it’s as good as “Black Swan” or “Jackie,” but she does exactly what her role calls for. Her Celeste makes everything click…you see how the world has broken her, and how she has made it this far regardless. Cassidy is the more surprising success, but the story needs Portman’s performance to get across the finish line. 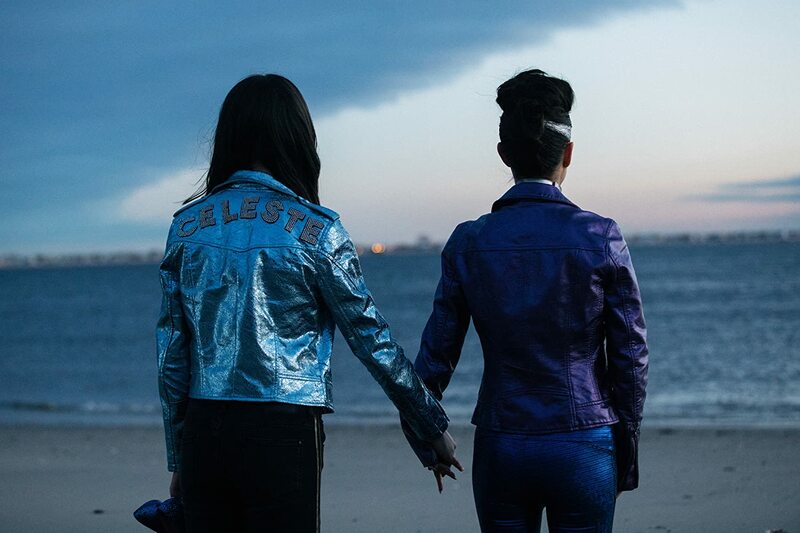 Without trying too hard, “Vox Lux” feels very in-touch with the American zeitgeist, or at least the parts of it that touch Celeste’s life. With its haunting, horror movie-esque score, ominous Dafoe narration, and off-kilter comedy, “Vox Lux” is one of the year’s most unforgettable movies. It’s weird and beautiful and you won’t stop thinking about it. If that scares you, stop before you start. But once you turn it on, I think you’ll find it difficult to look away.